This heavy producer of good quality, white streaked with red fleshed. Peach holds well for canning and preserving. large red skinned clingstone variety that ripens August to September. Nothing sweeter than a peach! 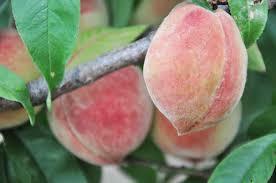 Peaches are grown all over the country as around the world. They are extremely easy to grow, and bring much enjoyment and fun when watching them grow.